HOUSTON - Springtime is here and that means attacking that pile of junk growing in the garage or the attic, or, if you’re a new homeowner, a growing family, or a collector, accumulating a little more. But where do you go to give back to your community and get the freshest stock of stuff? The local thrift store is a great place to start, but if you’d like to change of pace this spring, here are a few sales in our community that are underway or soon will be. If you have a community-oriented sale coming up, leave the information in our comments. Shop hand-selected picks from our new and consignment inventory featuring designer and high-end contemporary brands. Bargain hunters, rejoice! 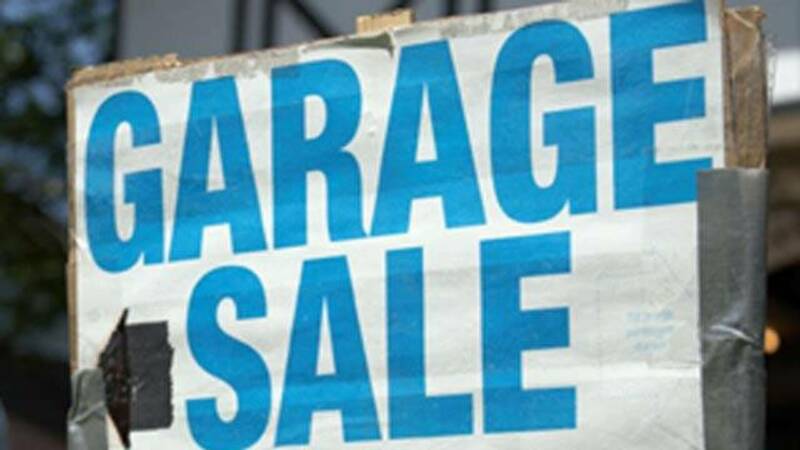 It's time for another mega garage sale in Riverstone. Show up early for coffee, donuts and the best selection. Turn someone else's clutter into your treasure! Come out and browse those items that have been lurking in someone's garage, attic, storage shed or closet and while you're at it explore the many boutiques, antique and resale shops located in Bay Area Houston. Space is limited. Each space is two standard parking spaces and costs $25 per space. Spaces reserved after April 6th will be $30 per space. Go to www.firstcolony.org under Parks and Rec and click on Special Events/Community Wide Garage Sale to print out a form to reserve your space or register online by clicking on the link listed. You can also reserve your space by calling 281-634-9555. If you have extra items upon completion of the event that are acceptable for donation, Penny Wise Resale Center for Fort Bend County Women’s Center will be available with a truck to accept items. Accepted donations are lightly used furniture, appliances, clothing, and household items. Don’t want to sell but love to shop? Then this is the perfect place to come! This is an easy way to find bargains without driving from neighborhood to neighborhood looking for garage sales and wasting gas. Here you will find housefuls of items for sale in one place. Whether you are a bargain hunter or an eco-sensitive collector dedicated to repurposing and reusing, seek and find at Discovery Green Flea by Night while enjoying light bites and local entertainment. With the planning expertise of Project for Public Spaces and our new friends at Brooklyn Flea, Discovery Green Flea is the place to see (buy and eat) and be seen. The event is free to attend and open to the public. Saturday, May 19 at 10 a.m. - 6 p.m.
Popular boutiques, specialty shops, artists, artisans, small businesses and antique dealers alongside community garage sellers and traders. Get your Free Admission tickets now and save the date! Galveston County Trade Days is proudly brought to you by The Gypsy Rose Market! Sat. Aug. 25: 11 a.m. - 6 p.m.
*VIP Pre Shop: Sat. 10 a.m.-11a.m. Sun. Aug. 26: 11 a.m.- 5 p.m. This event features designer clothing, antiques and collectibles, bric-a-brac, accessories, shoes, and plant booth. Members may begin shopping at 7:30 am. A wide array of infant, toddler, child and adult clothing and shoes, as well as toys, strollers, other child and household items. Editor's Note: This story will be updated, so be sure to share and keep for future reference. If you have an upcoming community sale, leave it in the comments and it may be added to this post.